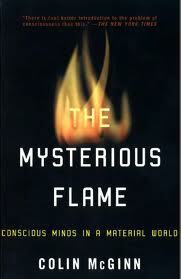 Mysterious Flame Research Papers look at a book by Colin McGinn about his theory of naturalized mysterianism. Colin McGinn's Mysterious Flame, published in 1999, explores the relationships between the mind and brain. McGinn believes that the study of consciousness is driven by a secular view of the universe that has been advanced by breakthroughs in brain studies over the past few decades. For McGinn, these studies may offer valuable insights into the operations of brain matter, but they do not answer the question of how this brain matter becomes conscious awareness. McGinn criticizes past theories of consciousness before asserting his own theory of the mind-body connection. This paper will summarize McGinn's Mysterious Flame, discuss the theory of "naturalized mysterianism" he proposes in the book, and offer a critical examination of problems raised by this "mysterious" theory. Before offering his own theory of consciousness, McGinn examines the materialist's contention that the mind and brain are actually the same thing. McGinn sees many problems with the materialist's theory, particularly the leap from studying neurons and other physical brain functions, to what McGinn calls the flame of consciousness. That is, the materialist's theory does not explain how non-physical thoughts arise from a collection of cells. For him, studying brain function provides a great deal of important data about how specific functions operate within the brain, but offers nothing about the experience of sensations, thought or passion. In other words, materialists have a one-sided view of consciousness that does not adequately account for the equally important, non-physical aspects of consciousness. The dualism theory, which does distinguish the non-physical mind from the physical body, is equally problematic, according to McGinn. He believes this view divides the mind and brain too sharply, resulting in other logical and experiential problems, such as the apparent mind-body connection that exists when we feel pain. Everyday experience shows that there is some connection between mind and body. For example, we physically experience a sensation, such as heat, and our minds translate that information into a variety of thoughts that are useful. These thoughts remind us of past experiences with heat, as well as other conscious associations with heat that may not be useful at a particular time. Or, when we bang our heads against a wall, there is usually an immediate conscious response that suggests a connection between our thoughts and our physical cranium. Based on these common experiences, it appears that the mind and the body are very connected, and not entirely independent, as dualism suggests. Paper Masters writes custom research papers on Mysterious Flame and look at a book by Colin McGinn about his theory of naturalized mysterianism.